Neuhoff Media’s CEO/President, Beth Neuhoff, will be among three of country radio’s top executives taking the stage at the Country Radio Seminar (CRS) in Nashville on Friday, February 15th. 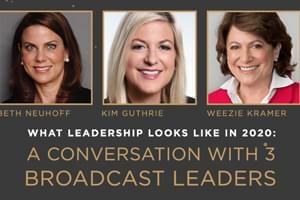 Neuhoff will be appearing on a discussion panel titled, “What Leadership Looks Like In 2020: A Conversation with Three Broadcast Executives,” along with Cox Media Group’s President, Kim Guthrie, and Entercom Communications COO, Weezie Kramer, moderated by Radio Advertising Bureau’s CEO/President, Erica Farber. This panel is presented by Mentoring Inspiring Women in Radio (MIW). The executives will share lessons learned over their careers, express their views on the health of today’s broadcast landscape, and provide insights into how their companies are growing in the areas of digital, on-air, and human resources. For more information on CRS visit https://www.countryradioseminar.com.